Can you figure out what it is? That’s a canal bridge. 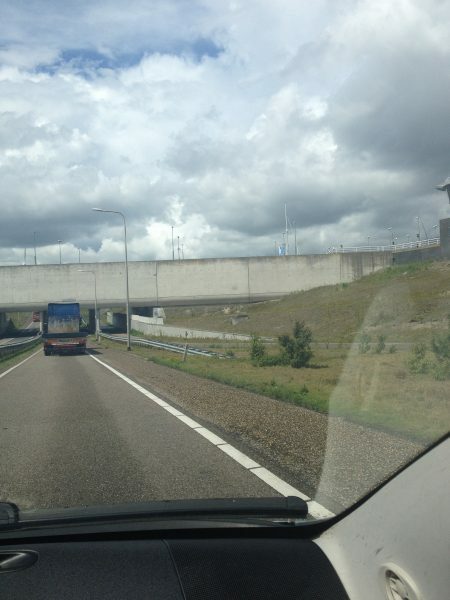 As in that big concrete thing in front of the truck holds water and a boat is passing over the highway in that very photo (you can kind of see the masts sticking above the concrete). 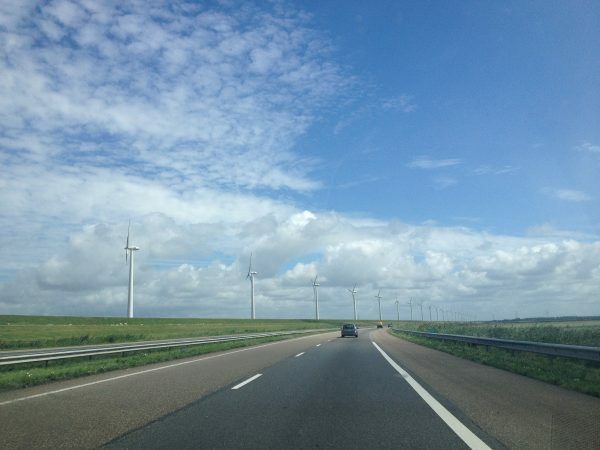 That is still a fairly common sight as you drive around the Netherlands, although I haven’t seen enough of them to get over being a bit awed and excited! I am still on a mission to get a decent photograph from a bit higher so you can actually see the boats and water going over the road. 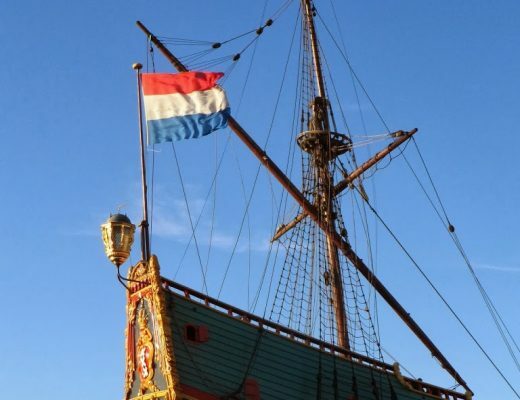 Do you remember when (quite) a while ago I talked about the dikes/dijks of the Netherlands? No? Go and refresh your memory first about what a dijk really looks like as opposed to what you might imagine if you have never been to the Netherlands (hint: they’re not big walls all around the country keeping the sea out like I always imagined). Got it? 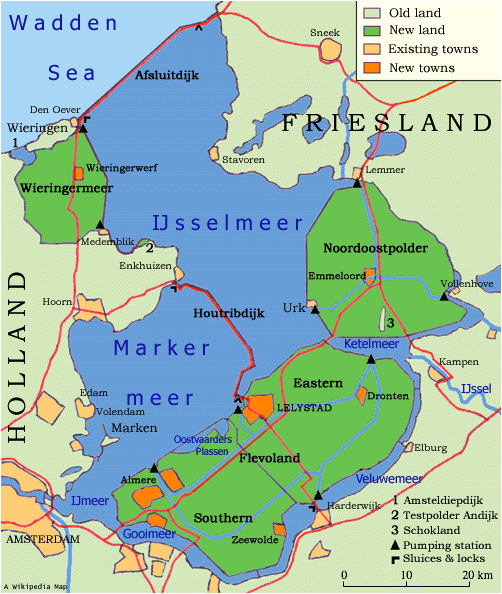 As you can see in the above map, the Afsluitdijk is a very long causeway (dike) that connects the provinces of Friesland and North Holland. It also acts as a barrier to the salt-water Wadden Sea (which is in turn an inlet of the North Sea) and enabled the creation of the freshwater IJselmeer lake. There is also of course a highway across it, meaning you can drive on a road with the Wadden Sea on one side and the IJselmeer on the other. And near the middle of the dike is a car park with a viewing tower so you can even have a look from above of the causeway, sea and lake! It was a very windy squally day when we drove across it, but we braved the gusts of wind and rain-showers to climb the tower and get some photos. 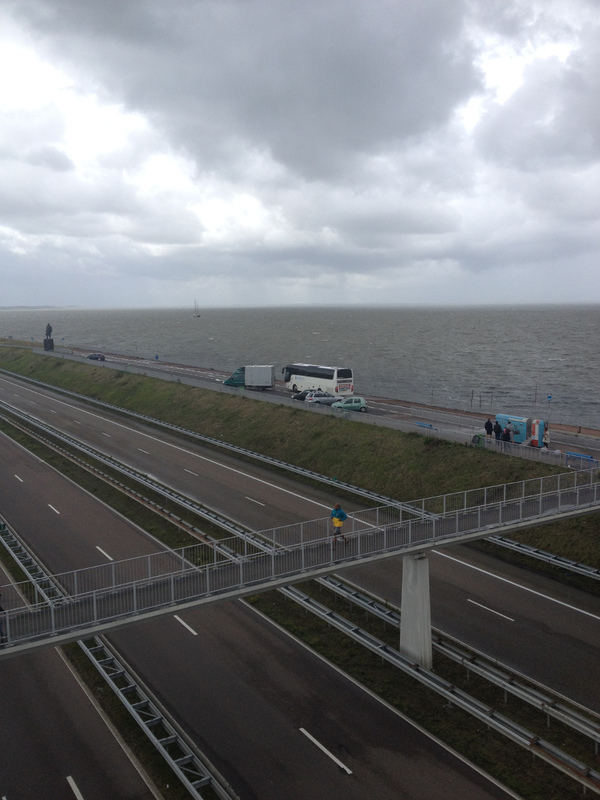 Below, the Wadden Sea on the right. 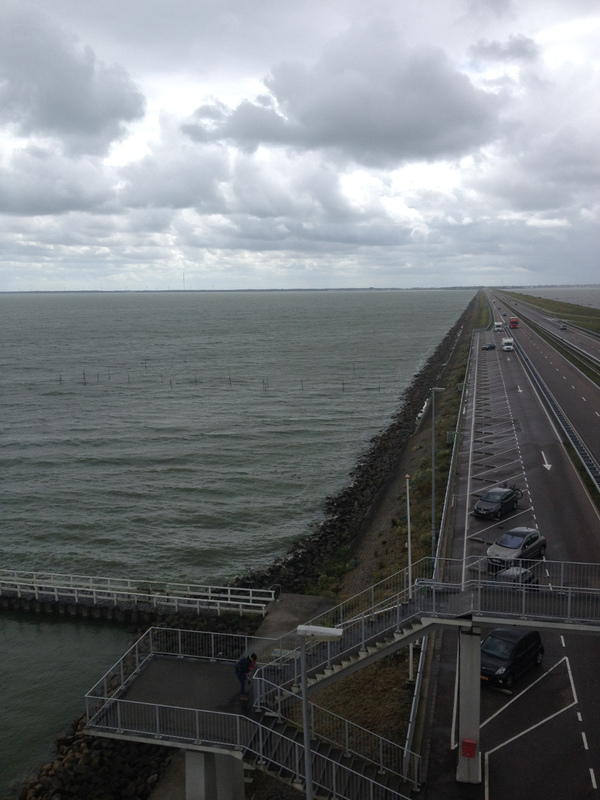 And the IJselmeer on the left. There was a statue of a man looking out over the water next to the car park on the opposite side of the tower, but I haven’t been able to find any information about what it’s supposed to represent. An architect maybe? 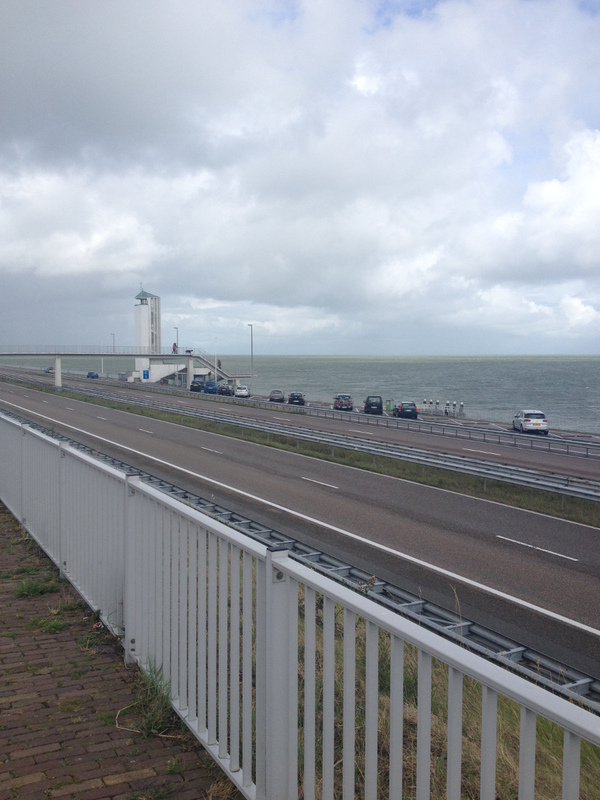 One of the most fascinating aspects of the Afsluitdijk is that it was built between 1927 and 1932, before they would have had big machines and such that are used in construction today. The Dutch people are really quite ingenious! 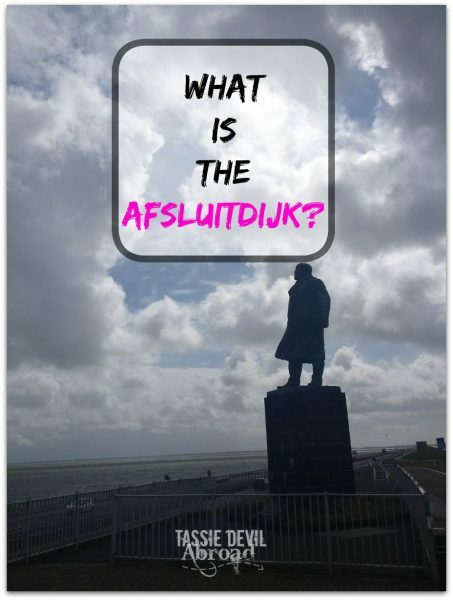 So there you have it, a little explanation of what the Afsluitdijk is! 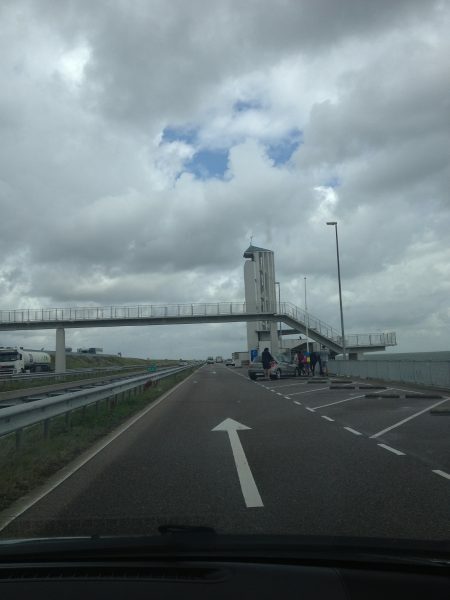 If you’re visiting Amsterdam and wish to see it for yourself it’s about a one-hour drive from the city to the viewing tower pictured here. 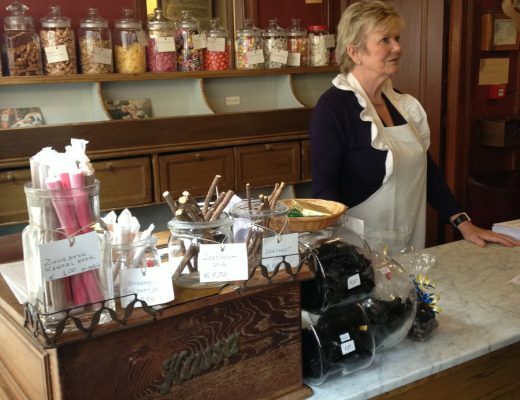 Stay tuned for more interesting Dutch sights soon! 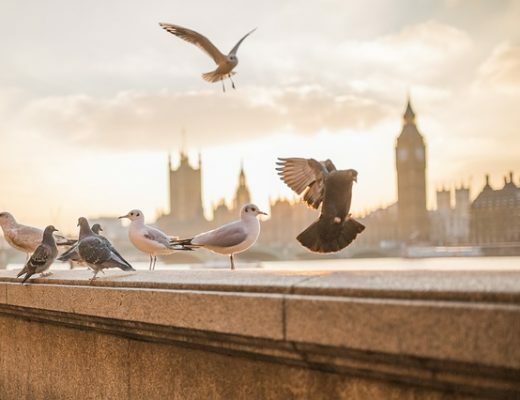 Hi, how are you? 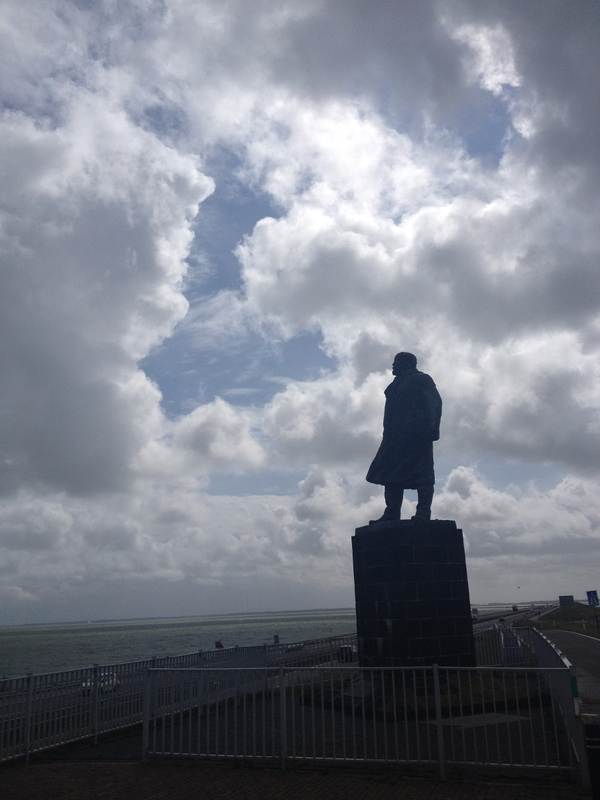 The man of the statue is Cornelis Lely, engineer who later become minister, he designed and built the Afsluitdijk but died before it was finished. In this case, yes, the dike is, in fact, ‘a wall that keeps out the sea’.